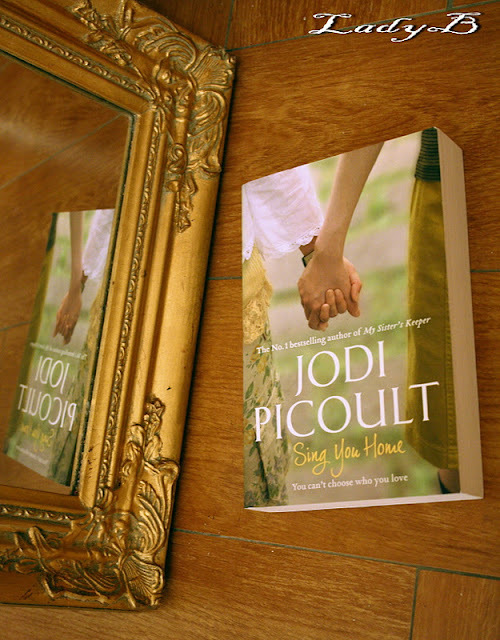 Interesting read, even though I thought that my fondness for Jodi's books was slowly fading away but to tell you the truth she managed to capture my full attention with this phenonmenal story. Zoe Baxter was married to Max for around ten years, both of them suffering from fertility problems that it was a must to go through an elongated and expensive procedures of extracting and freezing embryos, nonethelss even with their countless attemps to concieve eventually Zoe to miscarried twice and had a still born once . After the still born, Max moved out filed for divorce which left Zoe terribly devastated . Throught Zoe course of work as a music therapist helping children and burn victims to over come their pain, she bumped into Vanessa - School Counselor- whom she fell in love with . Not gonna burn the book but their fight for the frozen embroys was nerve wracking ! "The music we listen to might not define who we are but it's a damn good start !" " Everyday is a negotiation, Vanessa and I sit down over coffee, amd, instead of er burying herself in the newspaper-like max used to do- we discuss what needs to be done. now that i've moved in with her we ave a household to run. There's no man who's expected to change the lightbulbs that burn out, or take out the trash. If something heavy needs to be removed, we do it together. One of us has to mow the lawn, do the bills clean out the gutters. there is a lot of talking, alot of give-and-take, when it's just two women in the kitchen. I want to believe that such thing exists in normal marriages? "it wasn't a bout a woman standing up to a guy- it was about beating anything that thought it could take you down "